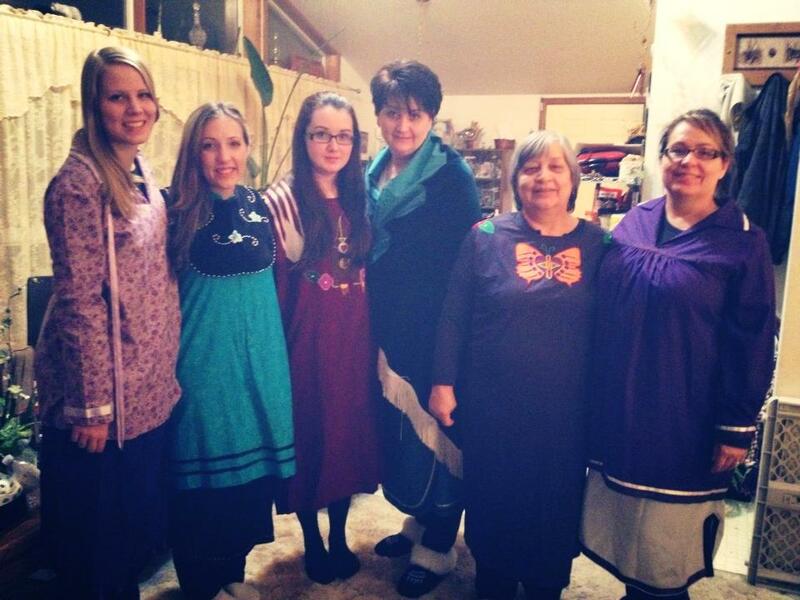 Cortney (second from the left) with three generations of her family, all wearing traditional ribbon shirts. She first started working to build connections with Indigenous communities as a Recruitment Coordinator for the Aboriginal Post-Secondary Information Program (APSIP). Through APSIP, Cortney travelled widely to more than 55 different Indigenous communities, many of them in remote and rural locations in northern Ontario. In these different communities, Cortney advised learners on Indigenous access policies to higher education, and specifically advised on the application and admissions processes for Canadian universities and colleges. While she found it rewarding to help so many different people in so many different areas, Cortney has been particularly excited to be able to provide “wraparound service” to the community of health sciences students at Queen’s in her new role. Wraparound service means that Cortney works with Indigenous students from the beginning of their application process through to their graduation. 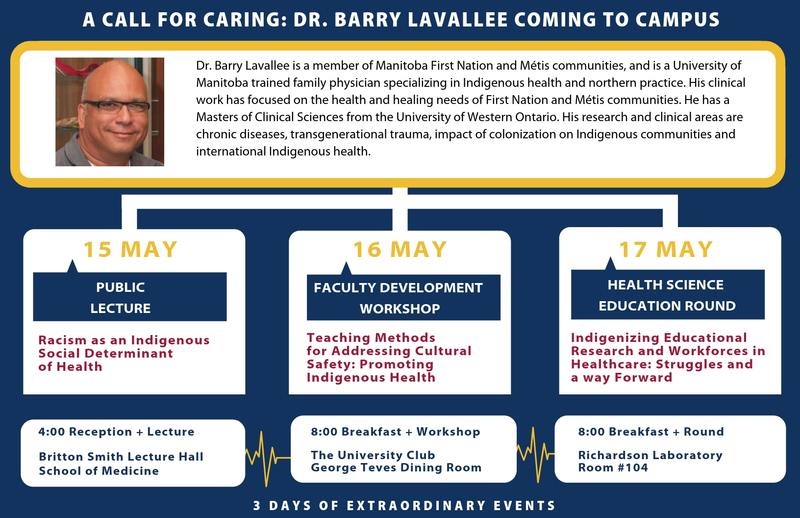 To work towards this goal, the IHEWG, along with the Office of Professional Development and Educational Scholarship, has organized an important series of events with Dr. Barry Lavallee, a professor at the University of Manitoba, a practicing family physician, and an expert on Indigenous health. Dr. Lavallee will be visiting May 15-17, 2019. He will provide training on working with Indigenous communities and also give a public lecture on how racism affects Indigenous health. The IHEWG has also recently led the hiring of Tim Yearington, the new Indigenous Curricular Innovation Coordinator in FHS. Tim will take a key role in decolonizing our health sciences curriculum and ensuring that Indigenous knowledge as well as the perspectives of our Indigenous students, health professionals and patients are reflected in our programs. As you can see, Cortney has already been very busy since starting her new role at the faculty in August. And she is planning a lot of projects for the coming months. 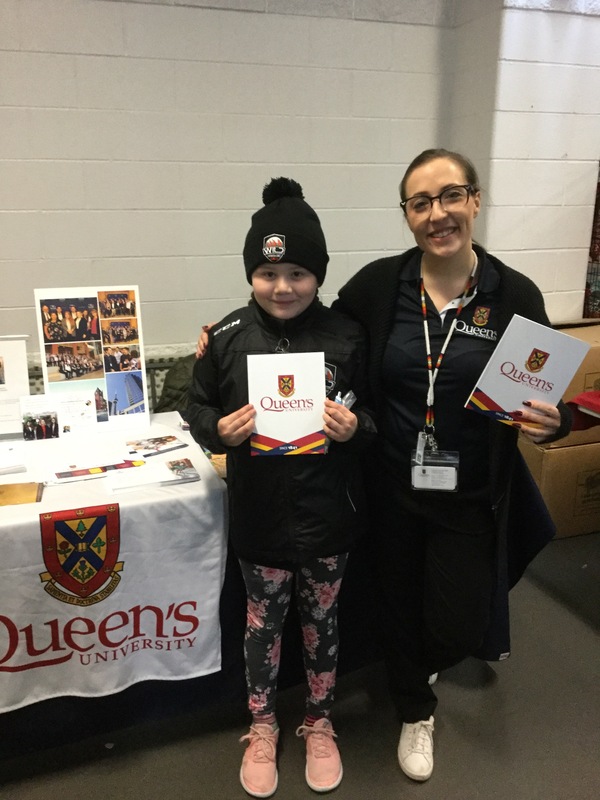 Just over March break, she did recruitment work at the Little Native Hockey League in Mississauga, where she spoke to over 227 Native hockey teams of Indigenous students, and their parents, about post-secondary programs at Queen’s. 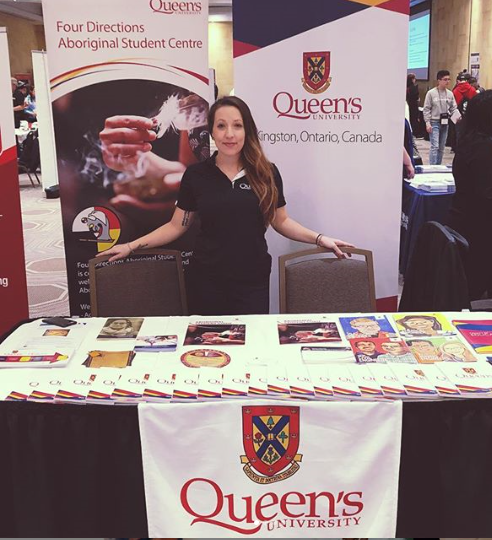 And she is also hosting, in partnership with Four Directions, an academic recruitment fair for prospective Indigenous graduate students that will be occurring May 4th, at Queen’s. Universities from across Canada, including Trent University, McGill, Concordia, University of Toronto and Lakehead University, just to mention a few, will be participating in what promises to be an important event for helping Indigenous students realize the different research opportunities and programs in graduate-level education. I am very grateful for all the work that Cortney has been doing to help the faculty work towards its goals for responding to the TRC report, and I know that the rest of my colleagues on the decanal team are as well. If you would like to express your own appreciation for Cortney, please do so in the comments below. Or better yet, please stop by the Macklem House: my door is always open. Thank you for this fabulous blog highlighting Cortney and the terrific work she is doing for the FHS. We are so fortunate to have her. She influences and leads with enthusiasm and energy. She is assisting us to make strides in our endeavour to implement FHS responses to the TRC. Thank you for reading, Leslie, and, more importantly, for the work that you've done yourself to help FHS respond to the TRC. And I agree completely: we are fortunate to have Cortney with us.